Ms. Langford has a solid educational background in professional responsibility matters through her adjunct professorships at the University of San Francisco School of Law and her previous lecturer position at the University of California Berkeley, Boalt Hall School of Law. 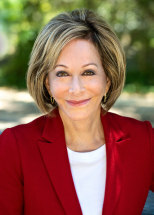 She has co-authored a nationally adopted legal case book entitled Legal Ethics in the Practice of Law (Lexis, Fourth Edition), as well as Legal Ethics: Rules, Statutes and Comparisons in the past (Lexis, updated annually) and The Moral Compass of the American Lawyer: Truth, Justice, Power and Greed (Ballantine). She has published numerous articles on ethics and malpractice avoidance. She has spoken at well over 125 continuing education programs on ethics conduct issues. Recently she was appointed Chair of the Drafting Committee of the Disciplinary Standards Task Force and was appointed to the California Commission for the Revision of the Rules of Professional Conduct. Ms. Langford has many years of experience in fee dispute matters and the firm has been involved in a variety of matters involving the determination of a fair and reasonable fee. Her fee dispute matters have included everything from multi-million dollar patent matters to disputes involving lesser sums in family law, business, estate and other cases. She also served as a member of the California Bar's Fee Arbitration Committee. Ms. Langford understands that it can be hard to battle over fees, both for the lawyer and his or her client, so let the Law Office of Carol M. Langford handle those matters for you. Ms. Langford also serves as a national expert witness on the ethical conduct of lawyers and has consulted with hundreds of lawyers, including individual law firms and individual and institutional clients. She has evaluated numerous legal malpractice claims and has been an expert witness or consultant on a variety of attorney conduct matters. She served as Chair of the State Bar of California's Committee on Professional Responsibility and Conduct and a Special Advisor to the Committee. She was Chair of the State Bar of California's Law Practice Management and Technology Committee and Chair of the Council of Section Chairs. She has also served as the Chair of the Ethics Committee of the Intellectual Property Section of the American Bar Association. Ms. Langford was awarded the Adjunct Professor of the Year Award at the University of San Francisco School of Law, the Lichtenstein Distinguished Professorship of Legal Ethics Award from Hofstra University in New York, the Woman of the Year Award from the California Senate for Women Who Seek Justice and the Outstanding Volunteer of the Year Award, among others. She is a strong proponent of pro bono public legal services and has personally spent years mentoring two students from Vallejo, California who have gone on to become successful in their fields. The Law Office of Carol M. Langford also accepts select plaintiff's legal malpractice cases. If you want efficient, practical and strong representation then contact the Law Office of Carol M. Langford.